Unlike IR35 where the onus was very much on the contractor, the Agency Workers Regulations (AWR) will affect both recruitment agencies and end-clients alike, writes Jane Stevens, Contracts Manager at IT jobs agency Jenrick. It is essential that everyone becomes au fait with the AWR as soon as possible before the commencement date of October 1st, 2011. 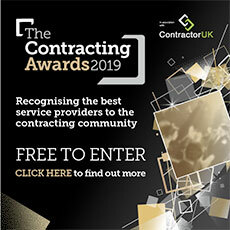 Agencies should use the time to gather information from end clients as to what facilities are on offer to all staff from day one in order to alert contractors before their start on site (but it should be noted that the legislation is not retrospective). Contractors with their own limited companies could possibly still be affected by this legislation but the risks are relatively low so long as the limited company is well established (a new limited company could offer slightly more risk). If the contractor signs a contract stating that they are wishing to provide a business to business relationship, then the risks again are relatively low. Those contractors operating through an umbrella company are very likely to be given the opportunity to work through a Swedish Derogation model which is certainly being looked at seriously at the moment by the umbrellas. Essentially the contractor is not eligible for AWR rights to equal pay as the contractor becomes a permanent employer of the umbrella company and will receive pay in between assignments. There are certain conditions required to operate within this model and the question remains that if the contractor is unable to find or be found work once the initial contract comes to an end, the umbrella company has to pay the contractor a minimum amount for not less than four weeks (subject to National Minimum Wage). How this is funded is still up for negotiation. Some umbrella companies are also able to provide tailored bespoke solutions to agencies / end clients and each case will be treated on an individual basis. But PAYE ( or a ‘match permanent pay’ model) does not really figure in the equation, as far as Jenrick IT is concerned, as within our business, IT contractors wish to operate within a business to business relationship either through their own limited or an umbrella company. Jenrick IT will continue to follow developments and will be speaking again to umbrella companies in the near future to discuss the finer details of what, at the moment, is being suggested as a compliant answer to AWR going forward from October 1st. Employment law specialists / solicitors are also in the process of being consulted to establish the correct way forward.